Hi, Welcome to KidieZone.com ! India’s biggest portal for Kids since 18 years ! KidieZone is a platform to show the talent and beauty of your child to the modelling and entertainment world ! We help your child to reach the right people of the industry so that they can be hired for various advertisements, print ad shoots, TV commercials, fashion shows, TV serials and even movies. Everyone says my kid is so cute, can my child be a model? I want to see my child in ads, serials or movies. Modeling is more than just being beautiful ! Yes my child has all this, so how to get started? Modeling agencies, advertising agencies and casting directors select kids by looking at their pictures first. Better the pictures, better are the chances of getting selected. So it is advisable to get a professional portfolio done of your child. 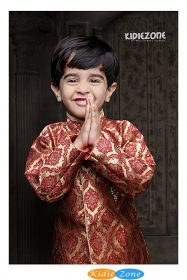 We have been shooting portfolio and promoting kid models since past 18 years. Please see Portfolio Charges here/a>. Once you have the professional portfolio ready, you can add the profile of your child on KidieZone. We will make your child visible to 1000’s of professionals from modelling agencies, advertising agencies, production houses, casting directors etc. If any company likes your child for any assignment they can contact you directly. I already have nice pictures of my kid. Can I use them to apply for work ? If you already have some nice pictures of your child, you can add profile of your child and apply to the assignments posted under assignments section. To add profile and apply for assignments, please click here. Is there any guarantee that my child will get work ? We provide you information of the companies who need kid models so that you can directly contact these companies. Companies select whichever child they like best. KidieZone.com does not promise or guarantee any work. It’s a platform to showcase the beauty and talent of your child to the world. There is a lot of competition in this industry and it’s the clients who decide whom to select. What’s the right age to start modeling ? It really depends on the requirement and concept of the advertiser. For some ads babies of 3-6 months are required and for some ads they require elder kids. So the age range for kids is from 2-3 months to 14-15 years. Do we get paid or we need to pay if the child is selected for an assignment ? You get paid. You DO NOT have to pay anything if your child is selected for a shoot. How much can we earn in this industry ? Usually the freshers are paid anywhere from Rs.3000 to Rs.5000 per day of shoot. However once you become experienced you start getting Rs.10,000 to Rs.20,000 per day of shoot depending on the company. There is no upper limit to earning in this industry if you become successful. Many kid models earn lacs of Rupees per month.